Sri Rajeev Gupta AGM , Chief Executive and Branch Head of Singapore Operations joined the Bank on 14th March 1997 . He took charge of Singapore Centre with effect from 31-Oct -2018. 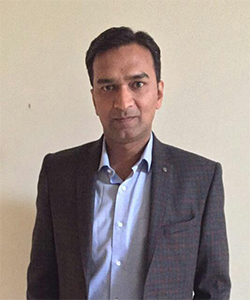 Born on 31stOct 1974 Sri Rajeev Gupta did his graduation in Commerce from GNDU university Amritsar,Certified associate of Indian Institute of Bankers (CAIIB) and MBA from Punjab University. Prior to his appointment as a chief Executive of Singapore , Mr Rajeev Gupta worked in different capacity in various field of Banking. In his 21 years of Banking Experience he worked as Branch Head , Credit Officer in-charge at zonal offices , Assistant General Manager of Head of Risk Management Dept. 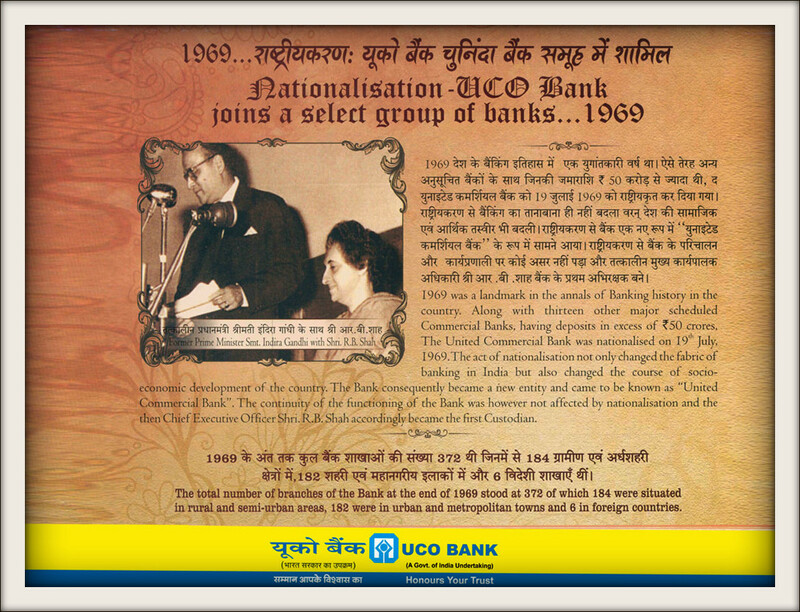 He represented UCO Bank in various National and International Programme on Banking and Commerce. UCO Bank is not only extending good service to its customers, but is also contributing to the growth of exports from Singapore. It has a large trade finance portfolio catering to the financial needs of the various trading concerns in Singapore. Since inception, the Bank's overseas centre at Singapore has been playing an active role in the promotion of Indian culture in Singapore and has supported many activities, be it cultural, educational or social, undertaken by the Indian community here. The Centre has always taken an active role in supporting all social causes at Singapore as well as in India. UCO Bank enjoys a tremendous amount of goodwill in Singapore. 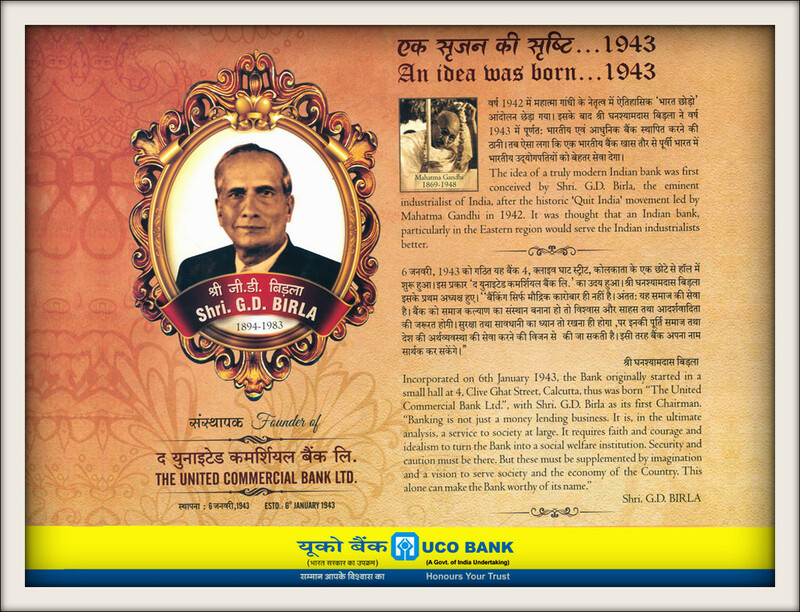 UCO Bank (formerly United Commercial Bank) was founded in 1943 by Sri Ghanashyam Das Birla, the Chairman of the House of Birlas. 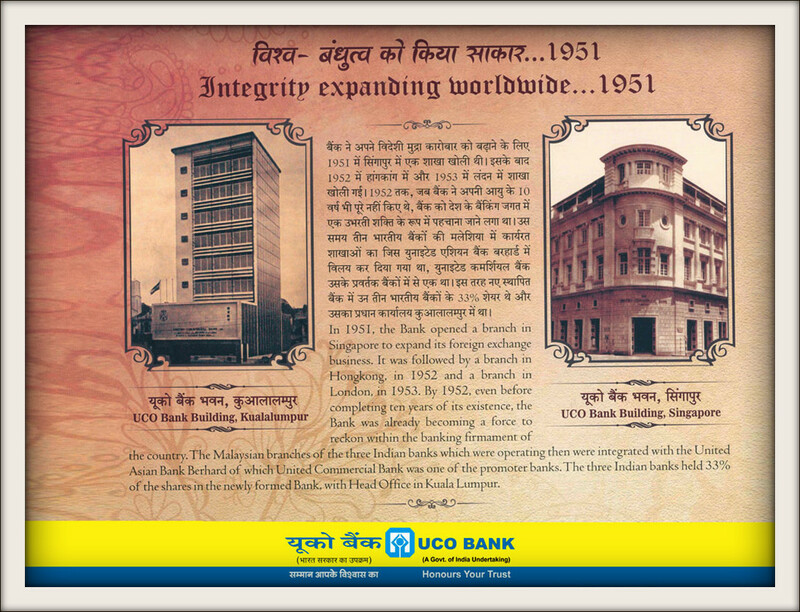 Incorporated on 6th January 1943, the Bank originally started in a small hall at 4, Clive Ghat Street, Calcutta, thus was born "The United Commercial Bank Ltd", with Shri G.D. Birla as its first Chairman. "Banking is not just a money lending business. It is in the ultimate analysis, a service to society at large. It requires faith and courage and idealism to turn the Bank into a social welfare institution. Security and caution must be there. But these must be supplemented by imagination and a vision to serve society and the economy of the Country. This alone can make the Bank worthy of its name." In 1951, the Bank opened a branch in Singapore to expand its foreign exchange business. It was followed by a Branch in Hong Kong in 1952 and a branch in London, in 1953. By 1952, even before completing ten years of its existence, the Bank was already becoming a force to reckon within the banking firmament of the country. 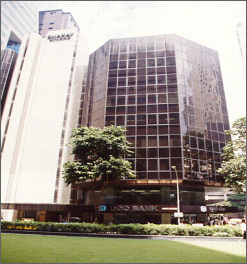 The Malaysian branches of the three Indian banks which were operating then were integrated with the United Asian Bank Berhad of which United Commercial Bank was one of the promoter banks. The three Indian banks held 33% of the shares in the newly formed Bank, with Head Office in Kuala Lumpur. In 1964 the Bank got its new Head Office building at 10, Brabourne Road (now known as Biplabi Trailokya Maharaj Sarani) which symbolised the Bank’s outlook with its towering height , neat lines, black granite façade , exquisite mosaic murals and aluminium louvres, the edifice conveyed the soothing effect of impressionisticart rather than the sharpness of Gothic angularities. A marked departure from a drab and matter-of-fact looking office building to one of the landmarks of the business district of Kolkata. The architect of the building was the internationally renowned Brown & Moulin, Chartered Architects based in London. 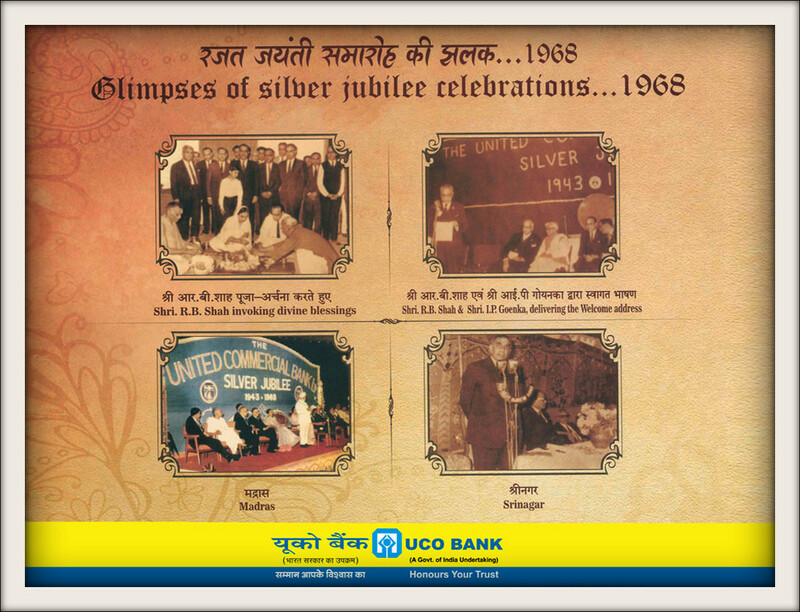 The year 1985 opened a new chapter for the Bank. 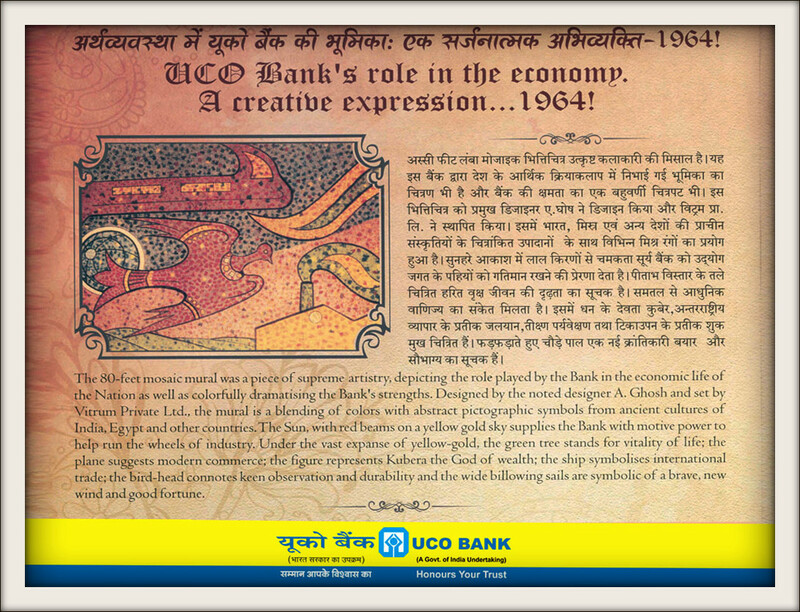 The name of the Bank was changed to UCO Bank by an Act of Parliament. 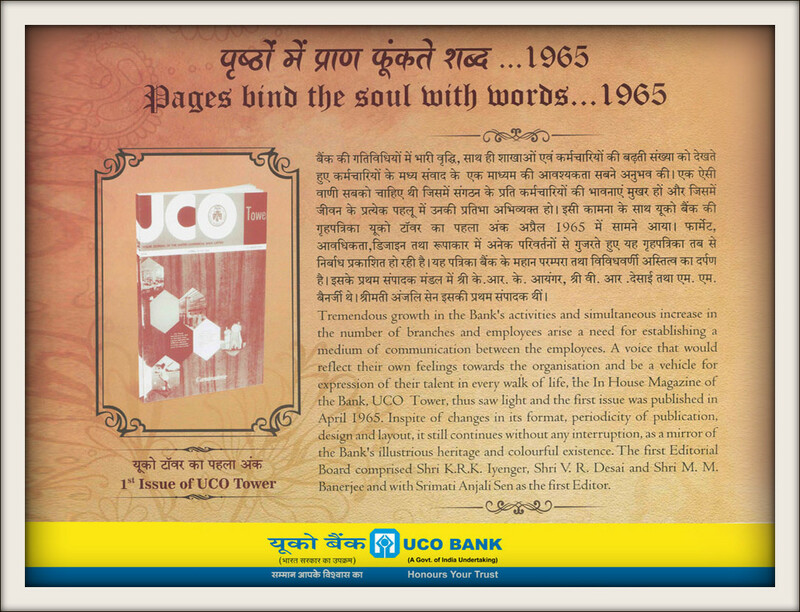 The Bank which was born as The United Commercial Bank Ltd in 1943 and came to be known as United Commercial Bank from 1969, acquired a small and sleek name, UCO Bank from the 30th December, 1985. The Bank also has strong presence in two very important South-East Asian financial centres namely Singapore and Hong Kong. The Bank has made substantial improvement in implementation and assimilation of latest information technology products available in the market, to offer better service products to the customers. UCO Bank, with years of dedicated service to the Nation through active financial participation in all segments of the economy - Agriculture, Industry, Trade & Commerce, Service Sector, Infrastructure Sector etc., keeping pace with the changing environment. We are in the Service of Community since 1943. We have more than 3000 Service Units spread all over India. We also operate in two Major International Financial Centres namely Hongkong and Singapore. We have our Correspondents/Agency arrangements all over the world. We undertake Foreign Exchange Business in more than 50 Centres in India. We have Foreign Exchange Dealing Operations at Centres. Headquartered in Kolkata, the Bank has 42 Zonal Offices spread all over India. Branches located in a geographical area report to the Zonal Office having jurisdiction over that area. In all our promotional activities, we will be fair and reasonable in highlighting the salient features of the schemes marketed by us. Misleading or unfair highlighting of any aspect of any scheme/service marketed by the Bank leading to unfair practice shall not be resorted to by the Bank.In commemorating the 50th Year of Independence of India, the Bank released a booklet entitled " Our Commitment to Customers " incorporating the Citizen's Charter on services provided by the Bank. In our continuing endeavour to serve our customers better, we have considerably extended the business hours for public transaction at the branches on all week-days. We have also introduced a number of NO HOLIDAY in india branches. These branches are open all 365 days a year. Besides, several of our branches in india have Express DD Counter from where Demand Drafts can be purchased without any waiting time.